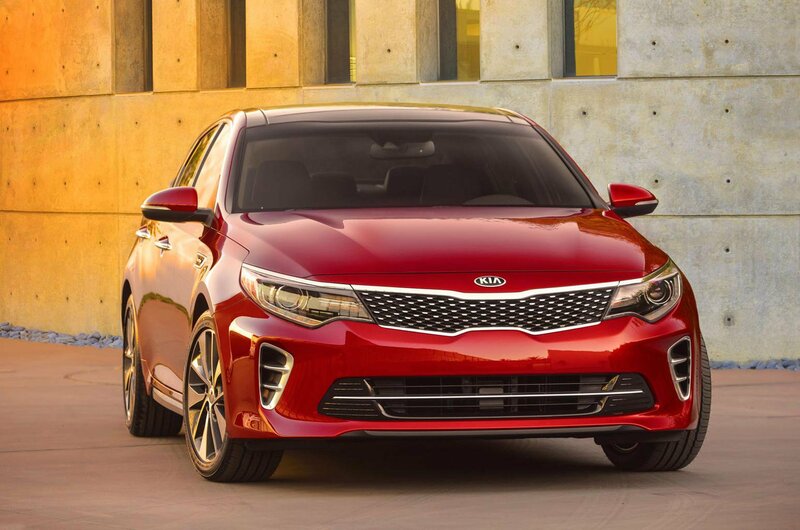 New Kia Optima shown ahead of year-end launch | What Car? The fourth-generation Kia Optima will go on sale in the UK towards the end of this year, and has been previewed with these official images. Scheduled to be unveiled at the New York motor show next month, the new Optima gets styling influences from other Kia family models, as well as from the Sportspace concept car, which was unveiled at the Geneva motor show last month. Acting as a preview to the Optima estate - which will arrive shortly after the saloon - the Sportspace concept's styling has directly informed the Optima's design. In particular, the new Optima gets a thinner version of Kia's 'Tiger Nose' grille, as well as more agressive front and rear bumpers. Powering the new model in Europe will be a revised version of the current Optima's 1.7-litre CRDi turbodiesel engine. In the current car, that engine produces 134bhp and 321lb ft.
A diesel-electric mild hybrid version, which sees the 1.7-litre diesel engine mated to an electric motor, is also planned, but is unlikely to be available at launch. The new Optima will face a tough challenge in Europe from advanced rivals including the new Ford Mondeo and eighth-generation Volkswagen Passat.